Laura Lieben is known for the emotional depth and endearing vulnerability she brings to her characters​ in dramas such as In His Steps, based on the bestselling novel by Charles Sheldon, in which she stars as the ambitious musician, Rachel Winslow, and Stolen Path, a true story from the 1900's which has screened in festivals internationally. Though based in Alberta, Canada, her work has taken her to the city of Vancouver, the mountains of Colorado, and to a palace in Croatia, Europe! Most recently, she received a nomination for "Best Performance by an Alberta Actress" in AMPIA's 2017 Rosie Awards for her role in Heartsong, her first self-written and self-produced film. Laura is also an accomplished equestrian. She began riding lessons at just six years old and competed in a variety of English disciplines including Stadium Jumping, Dressage and Eventing. She later gave up competing to start a business training and selling horses so she could afford to study acting. 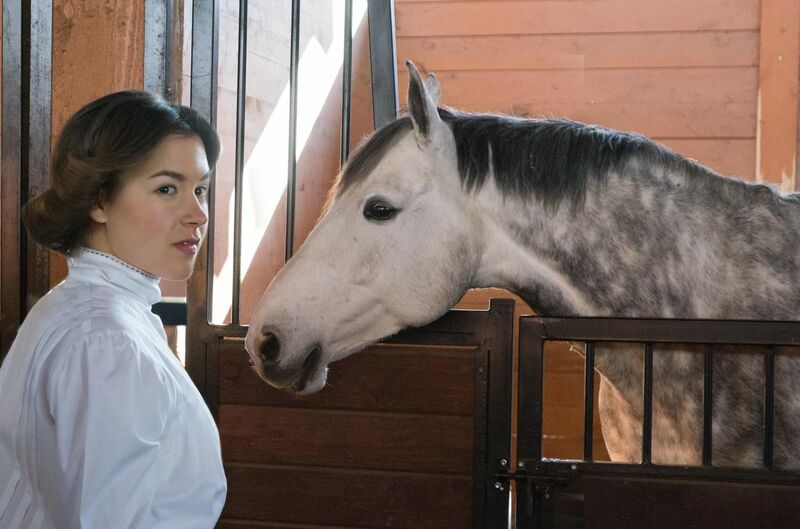 When she's not on set, she can often be found with her two 'angels in horsehair,' Rocky and Revelation. 2008 ~ first supporting role in "the kois"
​Laura’s career began when she landed a supporting role in a series pilot which received three nominations in the Alberta Film and Television Awards. 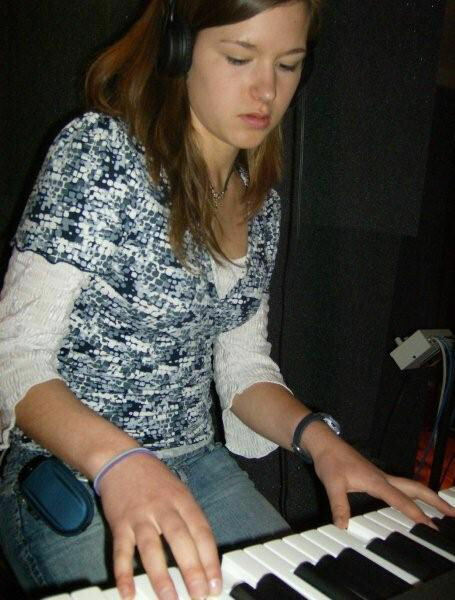 It also marked her first studio experience as she recorded vocals and piano for the soundtrack. In The Kois, Laura plays posh girl Gillian Arlington who has all that money can buy but struggles to find her place as a freshman in high school, until her talent as a keyboardist and singer makes a way for her. 2009 ~ first lead role in "inner quest"
​Laura went on to star in Inner Quest, a feature film which explores a forbidden friendship between two girls from clashing cultures and beliefs. She played the role of Samantha, a vibrant individual who sees no boundaries in cultural differences and fights to protect her best friend, a Muslim girl, from the harshness of the western world. Inner Quest won a Canadian Film Critics Award and an Award of Merit at The Accolade Film Festival. 2012 - 2013 ~ Traveled to colorado to star in "in his steps"
In the spring of 2012, tragedy struck when a beloved friend was killed in an accident. Searching for beauty in pain, Laura composed a song, Never Let Go, in her honor. She included this song in her next audition which booked her the lead role of Rachel Winslow – a vibrant and free-spirited singer, songwriter and pianist – in a web series based on the bestselling novel by Charles Sheldon and shot in the mountains of Colorado. ​She reprised the role the following year when the series was expanded into the full-length feature film, In His Steps. The Dove Foundation commended her work in a review of the film: "Laura Seabrook stands out as Rachel Winslow, and has a real singing talent." 2013 ~ Traveled to Croatia, Europe, for supporting role in "stolen path"
Some have remarked that Laura has a certain grace and elegance about her that would lend itself nicely to period pieces...and her role in Stolen Path confirmed it! Just weeks after returning from the beautiful mountains of Colorado where she starred in In His Steps, Laura found herself repacking her bags for the trip overseas to spend the latter part of the summer in a Croatian palace on set of Stolen Path, based on a powerful true story of love and sacrifice from the 1900s. ​The film has won numerous awards at festivals and has been screened in Switzerland, Jakarta, Romania, India, Singapore, London, Vienna and Hong Kong, to list a few! 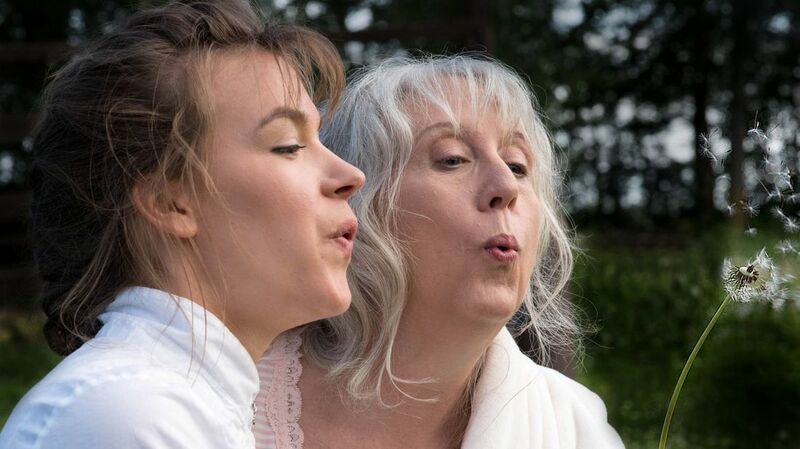 2014 ~ First short film to go viral: "Care vs caring"
At the start of the new year, Laura relocated to Toronto with the intention of pursuing her career in a larger market...however, her beloved Grandma's health took a turn for the worst and Laura made the decision to move back to Alberta to care for her. While she was living with her Grandma in the hospital, she was offered a role in this heart-warming film based on a true story. It was only intended to be a "training video for the staff" but surprised everyone when it went viral! 2016 ~ WROTE, PRODUCED AND STARRED IN "HEARTSONG"
2017 ~ nOMINATED FOR "BEST PERFORMANCE BY AN ALBERTA ACTRESS"
When Laura fell into the role of a caregiver to her beloved grandma who suffers from Alzheimer's, she never imagined that anything good could come from such a devastating situation...but what appeared to be a roadblock became a launchpad in Laura's career when she wrote and produced Heartsong, inspired by the time spent with her grandma. Laura delivers a powerful, emotional performance in this self-produced film which earned her a nomination for AMPIA's prestigious Rosie Award! Where in the world is Laura now!? Connect with her on Social Media to find out!